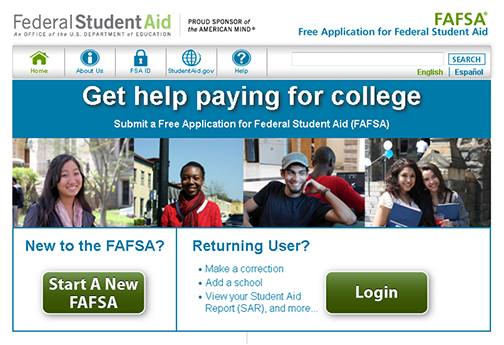 Did you complete your Free Application for Federal Student Aid (FAFSA) during the winter break? Don't worry, time is still on your side. Visit www.fafsa.ed.gov to get started. To submit your application as a Rio Salado student, use school code 0014483. Need help? Call on our Financial Aid team at (855) 622 - 2332. Visit www.riosalado.edu/financial_aid for additional contact information and resources.